Tickets at the gate: $8/child and $10/adult. 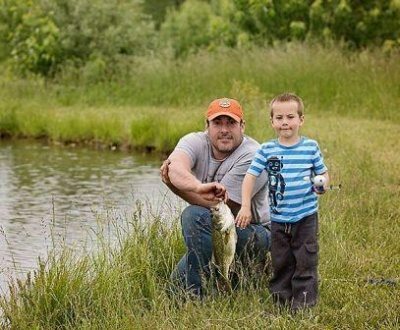 Treat Dad to a fun-filled weekend with BBQ and catch-and-release fishing. Compete in our Fish-a-Rama contest, fishing for catfish, bass, and blue gill in our stocked ponds. Prizes are on the line for the largest fish hooked and the most fish caught during the power hour. Bring your own pole and gear to fish (no drag hooks), and we will have worms for sale in our Farm Market. 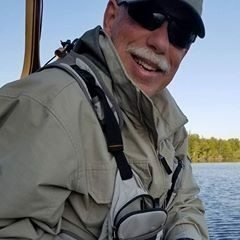 We are excited to have Phil Stevens of Project Healing Waters, join us this year. Project Healing Waters is a nonprofit organization dedicated to the physical and emotional rehabilitation of disabled active military service personnel and disabled veterans through fly fishing and associated activities including education and outings. Phil, a US Army veteran, is now a Project Healing Waters volunteer who teaches veterans the basics of fly fishing equipment, casting basics and assisting veterans catching their first trout. With his military background, he has been able to listen to and counsel the veterans he has had the honor to work with. Phil will be conducting a fly tying demonstration, as well as assisting fishers of all levels hone their fishing skills!